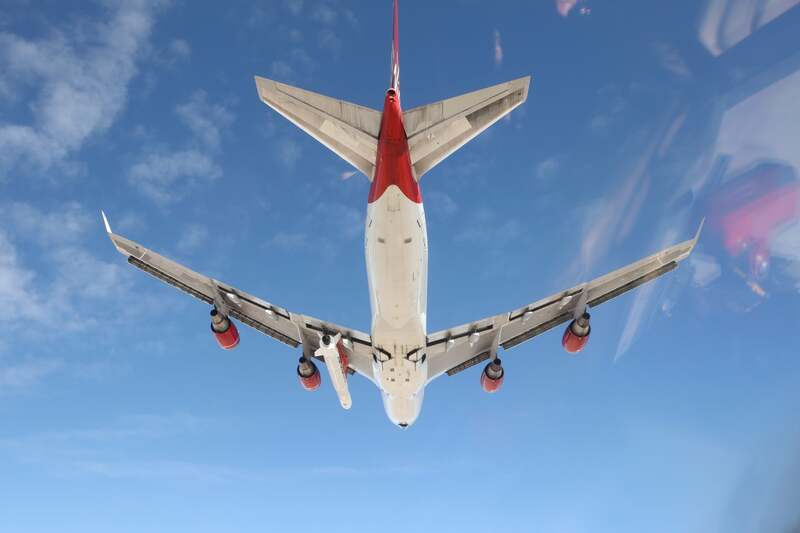 A Virgin Orbit plane took off with a rocket under its wing on Sunday, marking a successful test flight for the company that hopes to provide satellite-launching services. Scientists and businesses are increasingly launching smaller satellites for research or communications purposes, but there are limited options for getting these smaller satellites into space. Virgin Group’s Virgin Orbit hopes to supply an “agile and affordable” launch service—rockets strapped to planes—for satellites weighing 300 to 500 kilograms (661 to 1,102 pounds). The test flight featured a 70-foot, two-stage LauncherOne rocket strapped to Cosmic Girl, a modified 747-400 plane. The 80-minute test flight took off and landed from Victorville in the US state of California, and included measurements and handling assessments, according to a press release. It was a captive-carry flight, meaning that the rocket didn’t come off of the plane. Launching to orbit via aeroplane has been around as an idea for decades, and the Northrup Grumman Pegasus rocket still launches from a L-1011 TriStar plane. But Virgin Orbit hopes to fit into an underserved niche. Other rockets are tailored for larger satellites; SpaceX CEO Elon Musk has previously stated that he didn’t feel air launch added enough benefit to be worthwhile. Smaller satellites previously had to fit their launches around larger ones, reported Quartz. Companies like Virgin Orbit, Rocket Lab, and Vector Launch are tailored to launch these smaller satellites. Spaceflight Industries, a launch-arranging company, has already signed an agreement to partner with Virgin Orbit to secure flights on LauncherOne for its customers.